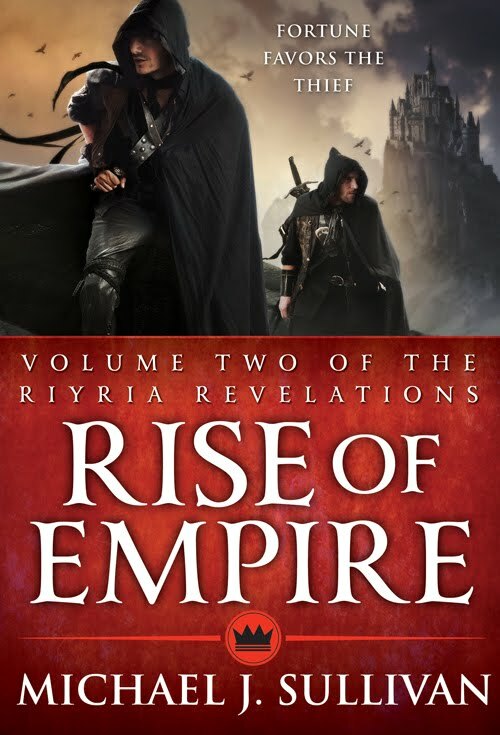 Orbit has released the official covers for the Riyria Revelations trilogy--the repackaging of the existing series into three books. The art was done by Larry Ronsant. The covers are slightly different from the ones previously posted on Stomping on Yeti. Those were pulled from the catalog and Orbit was still tweaking them. These are the final versions and you can also see them on the Orbit site along with their roll-out text, and comments about the art. I am pleased to report that the book signing at the BEA was a success. There was a long line of people waiting and the Orbit staff moved them through with the skill of veterans. They asked each person to write their names on a lime green sticky note so that I could personalize the signature with ease. I was scheduled to appear for an hour, but in forty-five minutes the entire stock of books were gone. It might have taken less time, but I enjoy talking to fans. Upon hearing it I didn’t know what to reply. I was dumbfounded. In my head I was wondering if I had heard them right. Why would people be thanking me? I was overjoyed to see anyone actually showing up to get my books. I wanted to shake the hand of every person that passed by. I wanted to thank them for showing up, because I really did not think anyone would. The night before I was speaking with members of Orbit and I sensed a level of expectation lowering being sent my way. My signing would be on the last day of the BEA, and it wasn’t even a full day. Most people were tired. Most people had already gone home. Most people had bags of stuff to carry and would not want another book, much less a thick, heavy one. And let’s face it, I’m not a name. I rank officially as a “kinda debut” author. I was being prepped for a weak showing. Even ten minutes before the event, I was reminded that traffic was way down that day. I recalled one of my first signings at a Waldenbooks where I stood at the entrance struggling to gain anyone’s attention. I sold five books in four hours. I apologized to the manager, who in turn laughed and said that I had sold more than any author they ever had, and I was welcomed to come back. I expected much of the same at the BEA. I expected I would stand there smiling awkwardly as few people walked by, and fewer still returned my smile. Instead a line formed. Books were stacked, and floodgates opened. Librarians, bloggers and booksellers stepped up to ask me for my signature and to thank me so much for coming. I still get a kick out of that. Some had read the books, but most were new folks about to meet Royce and Hadrian for the first time. It was fun and I was treated like royalty. The Orbit team organized the line, refilled the stacks, held each new book open to the signing page, and neatly stole away leftover Post-Its. For a brief moment I was a rock star. One of the highlights of the event was when a young woman stepped before me with a wide grin and told me that she read the books, and read both Robin’s and this blog. I was meeting a real fan, one of the many who made that day, and that line possible, but one of the few I had ever seen face to face. I checked her name tag. She had an unusual name, not one I would forget easily, and yet I have never seen a comment here, or her name in the Followers section. She explained that she had never posted and just liked to visit. To her I would just like to say, thank you so much for coming, Anastasia, you made my day. I'm not one of those who can work anywhere. My wife Robin I suspect could work while skydiving if she could figure a way to hold her laptop and type at the same time. And while I frequently write notes at coffee shops I have problems trying to write anything serious unless I am in a reasonably controlled environment. This past week I have been in New York attending the BEA and visiting with various members of Orbit. This is also the second post I have done on the road, and the second written and posted via my iPad. It works, but is a bit cumbersome. I would wait to make a more elaborate post when I return to the comforts of my office, but I have an hour before I need to get to my book signing and little else to do. I am at a Starbucks next to Times Square being frozen by the excessive air conditioning and sipping from a near empty cup of black coffee. New York has been interesting. My third time here, the first was as a gawking tourist, the second, a lot less gawking, but this is the first business trip. Granted most of my business is going to lunch and dinner, but it's still business. I've met more people in the last couple of days than in the last year. Authors, editors, bloggers, reviewers, PR people even designers. Last night I attended a cocktail mixer put on by Orbit where members of Hachett's science fiction and fantasy imprint, Orbit, got together with members of their thriller imprint Mulholland Books. Most of the evening flashed by in a blur of half heard names and drink-shifting handshakes. I hope I won't be tested on anything as I failed take any notes and have a terrible head for names. I met a wide variety of people including bloggers, and the senior fantasy and thriller editors for Publisher's Weekly. Of course I also met with the orbit team working on Theft of Swords, spending most of my time with Publishing Director, Tim Holman, Senior Editor, Devi Pillai, Publicist Jack Womack, and Marketing Director, Alex Lencicki. And as I mentioned this morning I will soon be signing books at the mammoth Javits Center. Lots of drinks, even more coffee, lavish dinners, luncheon meetings with agents and editors, and wandering the wide sidewalks of a congested movie set they call Manhattan. It sounds like part of the dream all writer's aspire to, but I must say, I will be very happy to catch the bus home tonight. There is something about New York that is like over dosing on caffeine. You get the jitters and eventually crash. The intensity of this city can exhaust you just by being here. Everyone is running in fourth gear because there is just no time for first through third. The streets are like conveyor belts that you need to merge into and keep up on or get mowed down by the herd. This is a city of workers. No one is idle, everyone rushes, and those on cell phones are talking numbers. I'm not sure if the word tranquility is in the New York lexicon unless it is defined as Central Park. People here owe a lot to Olmsted for that bit of green. I don't know how people could live here without it. 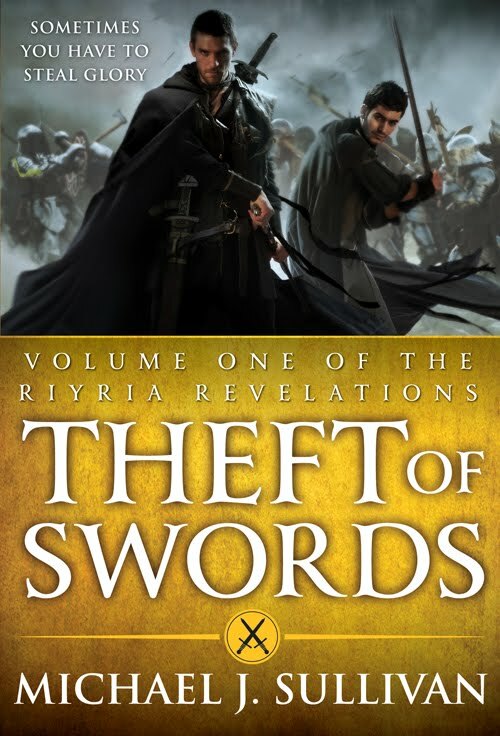 For those at the BEA today stop by the Hachett Book booth around noon and get a signed Advance Reading Copy of Theft of Swords, I'll be happy to sign it and shake your hand, and chat...but then I think I'll be happy to pass out on the bus. I met Joe Haldeman yesterday. If you don't know, Mr. Haldeman is a science fiction writer. Winner of the Grand Master lifetime achievement award, a few Nebulas, a Hugo, and some others including a Locust Award for his 1976 novel The Forever War. Mr. Haldeman was on a panel with me and a number of other distinguished writers where we discussed the old ways writers used to do things and how times have change. One topic discussed how much time is saved now by using computers rather than typewriters, but also how publishers and fans expect writers to churn out multiple novels a year. Another discussed the availability of authors to their fans through blogs, email, and Twitter. And we also discussed ebooks and their effect on reading and writing. After this panel I spoke briefly with Gay Haldeman, Joe's wife. She's a wonderful woman and friendly person who complimented me on my performance, which was very kind as I did nothing to be complimented for. She invited me to lunch with her and Joe, but I was already committed to having lunch with Robin, writers Jamie Rubin and Andrew Fox. Afterwards however, Robin and I ran into Joe and Gay again and we fell into talking. In the course of the discussion, the Haldemans let it slip that they recently discovered Joe's book The Forever War (presently being made into a movie) is not available in ebook. They discovered this when a fan wrote to ask why he could not find it. They in turn spoke to their publisher and discovered the publisher did not have the ebook rights--Joe did. It was then that Gay began Talking with Robin about what it took to convert a book into ebook format. Robin, being Robin, offered to do it for her. We even volunteered my services as cover artist. The only caveat was that they did not have an electronic copy of the book, they only had the hard copy. So now they faced scanning the entire work. But then a novel idea (pun intended) came to them, and I was so amused by this that I decided to write this post. Rather than going to all the trouble of scanning the novel, there is a much easier way. All they have to do is steal Joe's novel from a pirated torrent site. They have already done the work for them. The irony of thieving from those who stole from them, and making use of the pirating to help them make money was wonderful. So it would seem that book thieves are good for something. All authors looking to put their books into ebook form should pull their digitized works from the torrent sites and ePub them. Just don't forget to proof the text as I doubt they take the same care in transferring as an author would. It is also good to see that readers will write and ask an author about a missing ebook rather than steal a copy. Maybe that's why the world didn't end on Saturday--there were just too many people to Rapture. This coming week, beginning yesterday and running until a week from this coming Sunday, (okay so that’s not really a week, but it’s closer than calling it a month,) is going to be a very busy time. The Nebula Awards are being held here in DC and I am participating in a few events. Tonight I will be doing the book signing I mentioned a bit ago. This Sunday morning I will be speaking as part of a panel discussion called “Old Ways New Ways,” which is actually described on the SFWA site as: “An amazing moderated interview of SFWA’s brightest stars provides a compare and contrast of practices from times past and today. We know our panelists, both young and not so young, are so witty, wise, and well spoken that we guarantee insight to and chuckles about our field will be well worth sitting in on this fifty-minute hour.” I will be joined for this discussion by Joe Haldeman, N.K. Jemisin, Christopher Kastensmidt, and Jack McDevitt. This should be interesting because I have not only never been on a “panel” before, I’ve never seen one, and my co-speakers are all multiple award winning/nominated authors of great renown. And I am…well, me—the guy who hasn’t even traditionally published a book yet and have only been a member of the SFWA for a few months. 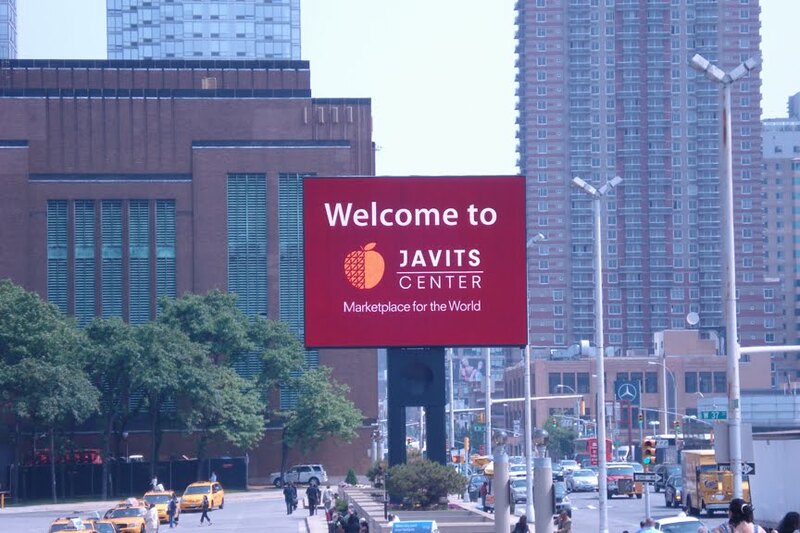 Then Sunday evening I am off to New York City for the BookExpo America. This is the big publishing event in North America, more of a business trade event than a fan event. I’ve been invited by Orbit to stop by their booth and sign some ARCs of Theft of Swords that I believe they will be giving out to book sellers at the show. I’ll also be having lunch with some folks from the publisher and it seems there is a cocktail party somewhere in there. Robin is going to make me get dressed up for this, I think. Just as the BEA ends Balticon in Baltimore, MD starts, and it would seem I am on several panels there. Robin has yet to tell me what they are. I am instructed to just go and be myself--only nicer. Baticon should be fun since I will be seeing both Marshall Thomas and Nathan Lowell again--Ridan authors, both of who’s books are punching holes in Amazon’s bestseller lists at the moment. Nathan I’m sure knows he hit number one on the Movers and Shakers List yesterday with his new Full Share novel, but I am certain that Marshall has no idea that his six books have become overnight successes. Marshall is a great guy who has been writing and selling his Soldier of the Legion Science Fiction series quietly for years. He attends the local conventions religiously, but never had much success. Two years ago his booth was next to mine, and he noticed I was selling a lot more books than he was. Robin and I started giving him advice which helped his sales, and the following year he discussed becoming a Ridan author. We spent a year getting all his books re-released with new covers and formats and now that Robin is working on Ridan full-time, she began trying to see what she could do to kick Marshall’s books into high-gear by adjusting the price point. It worked. This is a guy who was so thrilled when a reader decided to buy his whole series at once that he was at a loss because the reader wanted them all signed and Marshall ran out of new things to say in each book. Can’t wait to see his face. He’s happy when he sells twelve books, I wonder how he will take it when he learns he is selling thousands. So if you are in DC, or New York, or Baltimore this coming “week” drop by and say hello. I’ll be the awkward looking one trying to figure out what I’m supposed to be doing. “The abbot told me once that lying was a betrayal to one’s self. It’s evidence of self-loathing. You see, when you are so ashamed of your actions, thoughts, or intentions, you lie to hide it rather than accept yourself for who you really are. The idea of how others see you becomes more important than the reality of you.” —Myron Lanaklin on the morning of the Battle of Medford. This is the most noted quote from The Crown Conspiracy presently highlighted by 100 Kindle users. Readers have a thing for Myron. So what is it about this bibliophile shut-in that has everyone complaining that he’s too isolated and should go on more adventures? He’s not dashing, not handsome, not at all a lady’s man, but female readers swoon at the mention of his name. Well, perhaps not swoon--more like melt, the way they might when confronted by a big-eyed, floppy-eared, devilishly cute puppy. And I have known men to get misty-eyed while sitting with him on a stone bench staring at the burnt remains of a tree. As you know I found a place for him in the first book. The question remains, why doesn’t he play a more substantial role in the following books. One reason is that there was never any reason for Myron to be involved in the events of the series. 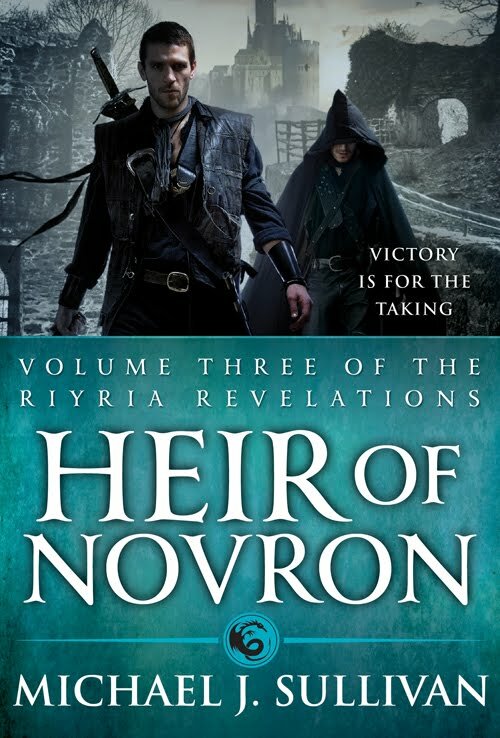 Royce and Hadrian would not have any need to drag Myron around on their adventures and Myron would not wish to go. The best I could have done was center some scenes at the monastery, but those scenes would have been dull and unnecessary in the scope of the plot. I also didn’t want to dilute him. On the seventies show Happy Days, Arthur Fonzarelli began as a rarely seen character in a gray cloth jacket (because initially the ABC censors would not allow him to wear a leather jacket.) His popularity drove him to the forefront where I felt his over-use ruined his aura of cool and eventually led to the infamous “jumping the shark” incident, that became an idiom for a story, or character being pushed beyond its limit. Much of Myron’s appeal comes from his innocence, and once he is taken from the monastery that innocence must rapidly fade. So because he was special I didn’t want to waste Myron. Besides, I had plans for the little monk. I have written on this blog before about how I feel the end of a story should justify the build-up. I hate being let down at the end of a story and as a result I think I just might have gone a bit overboard in trying to make certain that the final book of this series did not disappoint. One of the editing comments I received from Orbit was that so much was packed into the last book that they felt I ought to spread it out some. As it happens that really isn’t possible. Certain revelations (you might start to see where the series title comes from now) don’t come to light, and can’t come to light until the final book. Keeping these secrets hidden makes it impossible to reveal anything in any other order then how I did. This leaves the final book packed very tight with shocking discoveries, and the connecting of hundreds of little plotlines that come together in unexpected ways. In every chapter and around nearly every page there is something to make you go: Oh! Hah! Hehe, Aww, and of course, by Mar! There are virtually no new characters introduced in the last book. I did not have the time or space for them, as I had so many existing ones to account for. One of those was Myron. So for those of you hoping for more Myron. Fear not. The little agoraphobic bookworm will be part of the final quest which should close the series with a resounding crescendo. I just wish it was out already. I hate this waiting. Ofttimes Myron considered how he might like to be a mole or shrew, not a Dusky or Greater White-tooth, or even a Lesser White-tooth Shrew, but just a common shrew, or perhaps a mole. —one of my favorite lines from Wintertide, that no one on Amazon highlighted.